Most recipe books use a very limited range of main ingredients. 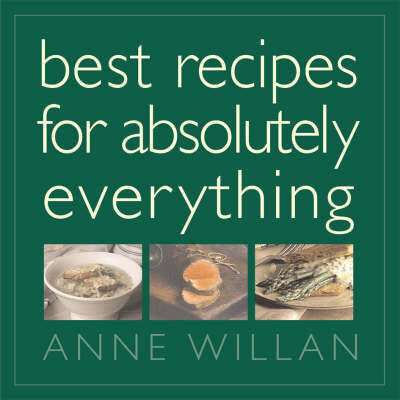 In Best Recipes for Absolutely Everything, Anne Willan provides an inspiring selection of exciting international recipes for both everyday and more unusual ingredients. Whether you have seen artichokes in season and wouldn't know what to do with them or have brought home a bargain sized pack of chicken portions, you will find the perfect recipe to bring out the very best of your ingredients in this book. As well providing a source of core recipes, Anne Willan, a renowned cookery teacher, also gives her readers a wealth of practical information, hints and tips to help them get the very best results.